KAHN is a DJ and Producer currently focused on Full-On and Progressive Psychedelic Trance mixing and production. Coming to the dance floor with a diverse background of musical experiences, Kahn conveys a unique vibe of melodic, intelligent, and seductively aggressive beats; framed by pulsating stimulating basslines, and powerful Full-On leads. In his DJ sets, the dancer can expect to hear the only the most modern and technical electric sounds from around the globe with an emphasis on heavy and funky, "Funkadelic," "Hi-Tek," "Full-On" Psytrance and Progressive. Kahn's other musical genre influences include; Techno, Trance, Chill, Electro, Psy Tech, Psy Breaks, Goa Trance, House, Hard Dance, Italo-Disco-House, Rock, Funk, Reggae, and a great many other genres along the way. Kahn aims to spread the Melodic Full-On Psychedelic vibe which has overtaken dance floors in lands all over the world, including; Brazil, Mexico, Japan, Israel, and a great many other places to Southern California Electronic Music and Dance Scene... In addition to Psychedelic Trance/Full-On/Trance, KAHN is also experienced in playing Techno/Progressive/Psy-Tech/Prog-House sets, and may pursue this style further in production form in the future. While this style is not particularly promoted, KAHN is more than happy to play sets such as these; just ask! Kahn has been a part of Southern California's electronic music and dance scene since 2005, and has been listening to and collecting electronic dance music for over a decade! He began his journey into mixing and music production in early 2007, when he started playing at gatherings around the southern California underground music scene. Since then Kahn has built a name for himself, synonymous with high quality, modern psychedelic trance; with a funky, high-tech, and uplifting flair! He has become a regular staple in many different sub-scenes, and has managed to find creative ways to incorporate this music in non-traditional settings for the style. 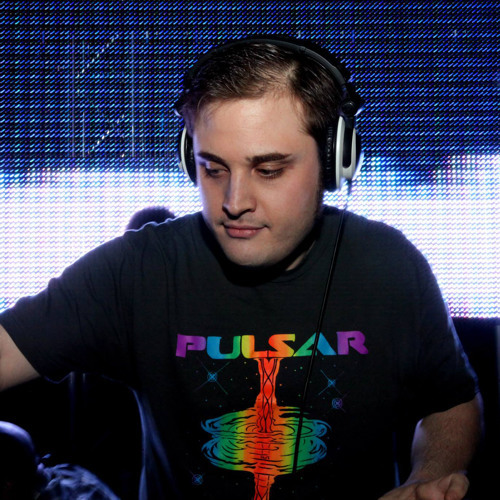 In July 2010, KAHN in collaboration with fellow DJ/Producer ST.BLACK began organizing their monthly event PULSAR in Los Angeles, California. This series of events has already attracted people from all over the Southern California electronic music and dance scene; with its unique and intelligent musical vibe fueled by a diverse range of local, as well as non-local DJ's and producers. This coupled with positive atmospheres, and absolutely positive intent has made PULSAR into a regular stop for many party goers! The music styles featured at these events encompass a wide range including: Psychedelic Trance, Techno, Full-On, Progressive, House, Electro, Breaks, and more!